A hearty, healthy twist on a classic favorite dinner dish makes this stuffed pepper soup the perfect meal! Growing up my mom used to make stuffed peppers and tomatoes all the time… I still love when she makes them! 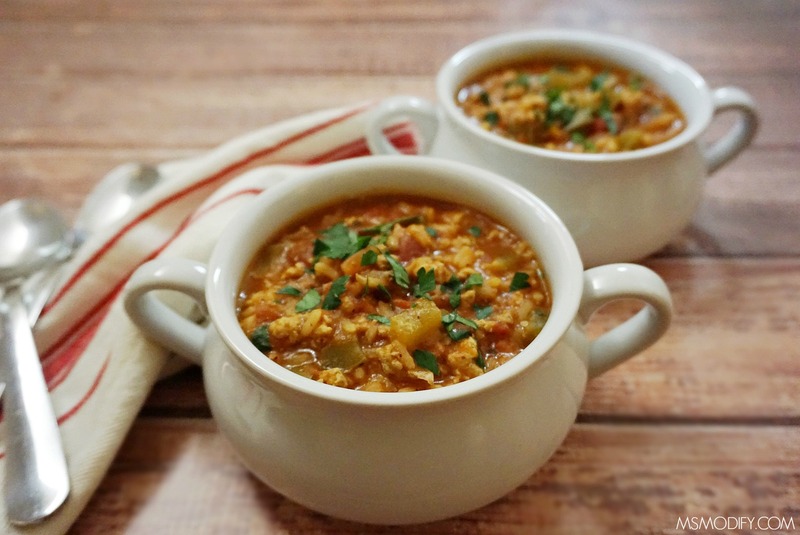 So, this is a twist on her stuffed peppers but in the form of a thick, hearty soup! I’m a big soup fan! 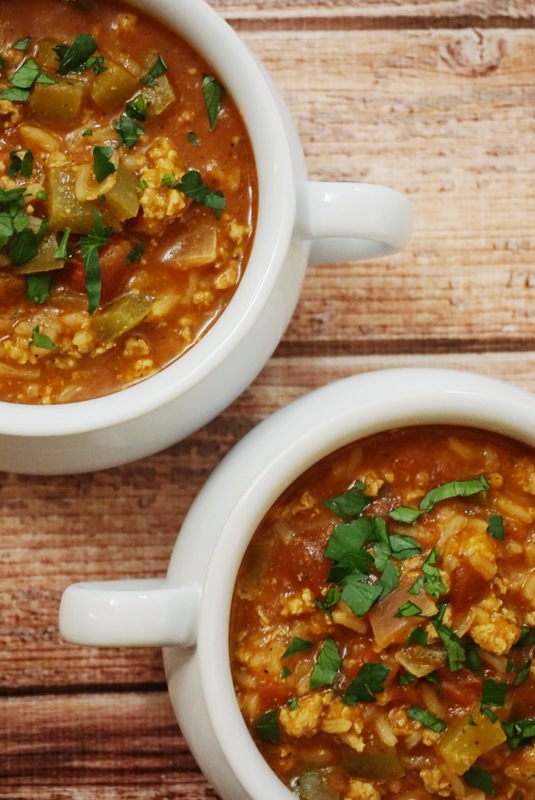 I love that they’re simple to make, perfect for chilly nights and make the bet leftovers. 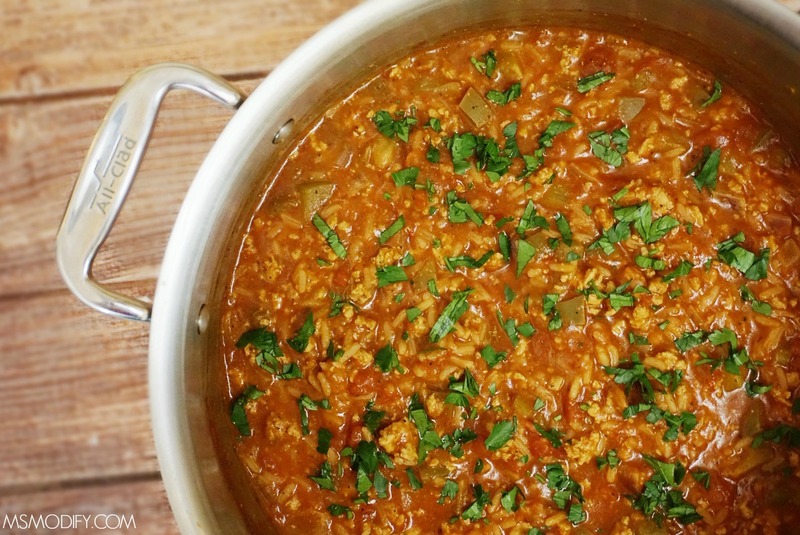 This stuffed pepper soup is no different… it’s now in rotation at our house! I personally cook my rice separate and then add it into the soup because I’ve noticed if you cook it in the soup it tends to eat up a lot of the broth and turns out a little mushy… but feel free to play around with the recipe! In a large pot add olive oil over medium heat, once hot add onions and bell peppers and saute for about 3-4 mins. Add ground turkey and garlic to your pot and season with salt and pepper. Stir to break up turkey while cooking. Cook until turkey is no longer pink. Pour in chicken broth, tomato sauce, diced tomatoes, oregano and cumin. Season with salt and pepper to taste. Mix everything together. Bring soup to a boil, then reduce heat to low and cover to simmer for about 30 mins. Stir occasionally. While soup is cooking, cook your rice according to package. Once soup is done, add desired amount of cooked rice to soup. This entry was posted in Recipes/Dining Out and tagged soup, Stuffed Pepper, Turkey.